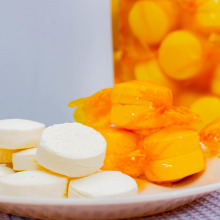 Mananam Food Products started as a childhood dream. When I was young, we are living in Pangasinan (a province from the northern part of Luzon). As a 7 year old daughter we do make healthy and fresh delicacies from our province so we can sell it to schools and our neighborhood. Now that I have my own family, seeing my daughter around the same age as I was back then, I realize what a good opportunity for us to introduce the foods that we love to make and eat in Pangasinan. It’s actually a happy moment for me that she loved the food that we made, and then it hits me. Why don’t we introduce our food from the province here in Metro Manila and in the future the whole Philippines. 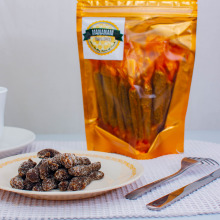 We created Mananam Food Products in October of 2018 as a distribution and wholesaling company that will help us showcase the foods from the northern part of the Philippines to the entire country. We aim to make sure to produce only healthy and freshly made products for everyone to enjoy guilt free. 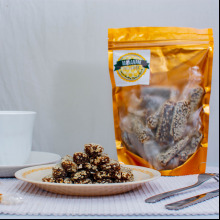 Food snacks distributor of healthy and freshly made delicacies from the Northern Philippines. 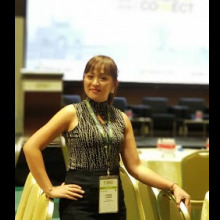 Thank you so much Unionbank & Global Linker for giving the most unforgettable opportunity for me as a new entrepreneur. This event has moved and motivated me to aim and work harder on creating a better platform for my business. I did not just gained knowledge and experience because I also gain new friends who encourage and influenced me to grow as an individual and as an entrepreneur.